Well, I think that I have finally put the fear in Vashlan, if that is even possible. At least he understands that what he has been doing as well as being totally immoral. He couldn’t even tell me the number of women that he had slept with in the last month, much less the last week. I told him that not only was he ruining his reputation, he was ruining his family’s reputation as well. That seemed to hit a vein in his mind and I think he was ashamed, he blushed just like his Father does when he’s done something that he’s ashamed of. Anyway, I don’t think that Maggie will have to worry about him making anymore overtures to her in Stormwind. I went home and saw my two youngest sons and read them the riot act as well. Karing was just being himself for the most part, however, his older brother is the one that I am going to have to keep my eye on. As slick as he thinks he is, he’s been caught stealing things and people will talk about that. Volardan is the one that seems to be the instigator in getting the two boys in trouble. His little mind seems bound, bent and determined to cause as much mischief as possible. I would take him back to Stormwind with me, however, I think that he might get into the wrong kind of crowds there, at least here, my parents can somewhat control him. I honestly think that trying to keep one’s children walking the straight and narrow is more difficult than being a Sentinel. At least you kind of knew what you were dealing with in those situations. I’ll admit that my parents must truly have all the patience in the world while they are raising my two youngest – yes, I admit that I need to change that and start taking them with me instead of relying so heavily on my parents. They should be enjoying life at their ages and not being constantly tied down with my two youngest. I’ll have to see how things work out in Shattrath, they might be okay down there since they already have a group of friends that they spent their early childhood with already there. I’ll talk to my Sindorei and see what the thinks about that solution, it’s always best to discuss things with your mate before you do some of them. I know that my time in Dolonaar wasn’t nearly as long as I liked, however, I needed to get back to Stormwind and run the business for a few days while Maggie took some time off. She wanted to go visit her family and to see what was going on with them. I know that she seemed excited when I told her that I needed her to go to Pandaria to see if she saw any potential up there of opening another office for us in Halfhill. She’s never been there, however, I do trust her judgment. Oh, I’m sitting here kind of smiling to myself because I think she has found a fellow here in Stormwind that she hired on the spot, another Draeni. I do hope that things are going well for my Sindorei in Silvermoon. I know how much he was dreading going back there to deal with his sister and his business. I did put forth the suggestion that he put Faendra in another one of the houses that he owns to get her away from the rest of the people that he has staying at the main house. I hope he listens to me and will do what I suggested. Naturally, I did suggest that there be set limitations on what she could do or couldn’t do while she has the run of a residence and that Agatha could keep an eye on it for him. Just a thought, mind you, however, I think it was a good idea. Also, I suggested that we both go back to Pandaria so that we can put all of the business and family troubles behind us – there is a certain peace of being able to sit in Halfhill and just watching the crops grow. 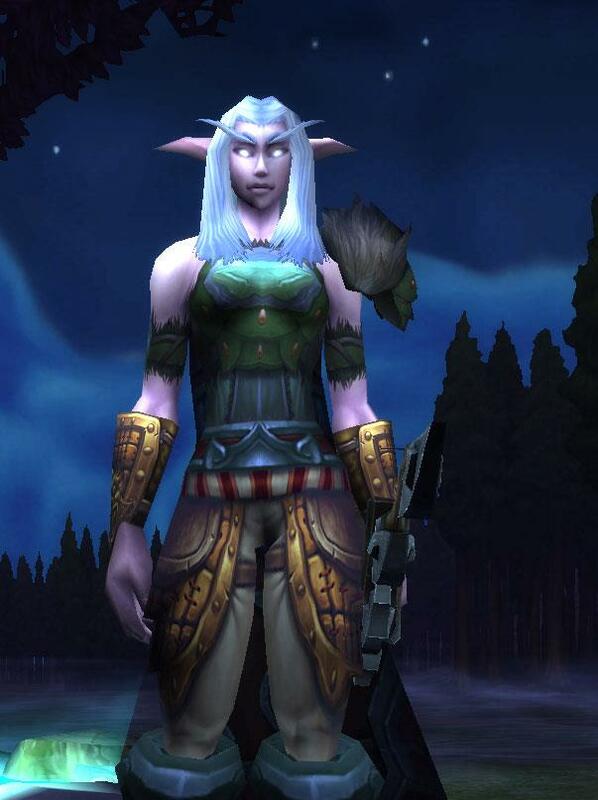 This entry was posted in Amynlarae Shadowmoon, Winds of War and tagged Dear Journal, Fun Times, Home, Kaldorei, More Adventures To Come, Role Playing, Stormwind City, War Is War, World of Warcraft. Bookmark the permalink.